Cars 3 & Pirates of the Caribbean: Dead Men Tell No Tales. Singer-songwriter Ben Rector is coming to SUU for Homecoming 2017! 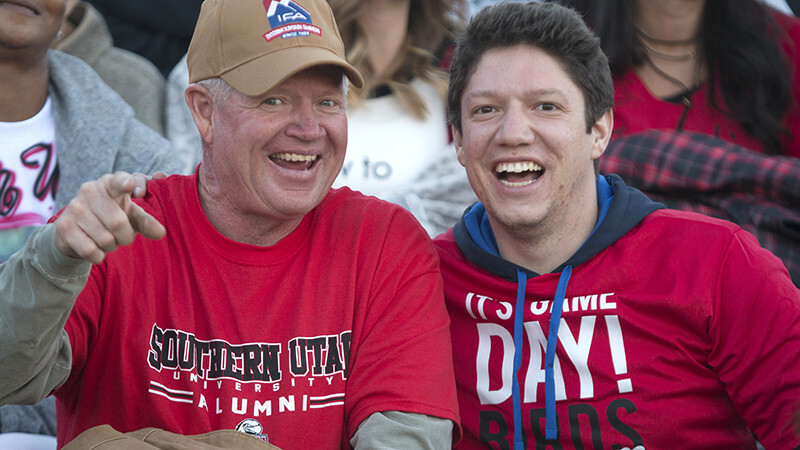 Adult tickets are $25; Youth $20; and SUU students are $15. Purchase your tickets at www.tbirdtickets.com. The boat race will be at the SUU pool. All SUU students, faculty, staff and alumni are welcome to build a boat and race or come and watch the fun. Professor Richard Cozzens will be holding cardboard boat building workshops on Thursday, September 28 from 6:00-7:00 p and Tuesday, October 3 from 6:00 – 8:00 pm for anyone who would like help building a boat. Official rules can be found at: https://www.suu.edu/cose/techfair/contests.html#cardboard. You can register at https://docs.google.com/forms/d/e/1FAIpQLSdx80NYXAJpcSpOApWQmYxT0A1vUIJzE6-G6iWqpqn8lXkxEw/viewform. Richard G. Miller earned a BS degree in 1990 followed by a master’s degree in accounting, both from SUU, and was a National Security Fellow at the John F. Kennedy School of Government at Harvard University in 2008, as part of the U.S. Army War College. He retired as an active-duty colonel with the National Guard in June 2016, after a distinguished, three-decade military career that culminated with six years of service as G-1, or personnel director, for the Utah National Guard’s 5,000-plus members. He is now the senior human resource manager for Domo, Inc., a computer software company in American Fork, Utah. An artillery officer, among his National Guard service postings was the command of Cedar City’s 2nd Battalion, 222nd Field Artillery, during its 18-month deployment to Iraq in support of Operation Iraqi Freedom in 2005 and 2006. Miller and his wife, Rhonda (’91), are the parents of six children. You are cordially invited to attend the annual Homecoming Banquet in the Gilbert Great Hall. Dinner will be served. This year the Homecoming Honorees are: Richard Miller, Outstanding Alumnus; Jim Johnson, Distinguished Service; and Crystal Sekaquaptewa, Young Alumnus. 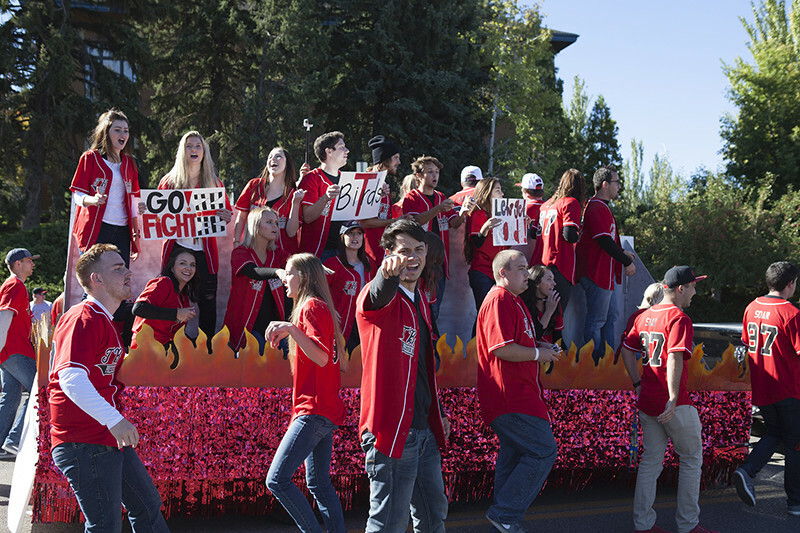 Please RSVP to the Alumni Relations Office at (435) 586-7777 or alumni@suu.edu by Monday, October 2nd. Purchase tickets at www.tbirdtickets.com or at the Centrum Ticket Office. All former member of SUUSA’s executive council members, and guests, are invited to attend. Alumni and current SUU band students will unite for one fantastic concert at Cedar City’s Heritage Center. Admission is FREE and all are invited to attend. Live music, food, interactive games & activities, bounces houses, photo booth and fireworks. Free and open to all. Kiss your sweetheart in the Founders’ Monument plaza at midnight to become a True T-Bird. One kiss is all it takes. The event will only last five minutes, so be sure to come with someone special. Hosted by the SUU Student Alumni Association.